They are beautiful, pristine, world treasures, etc. There’s a 6th century monastery at the top of Skellig Michael. 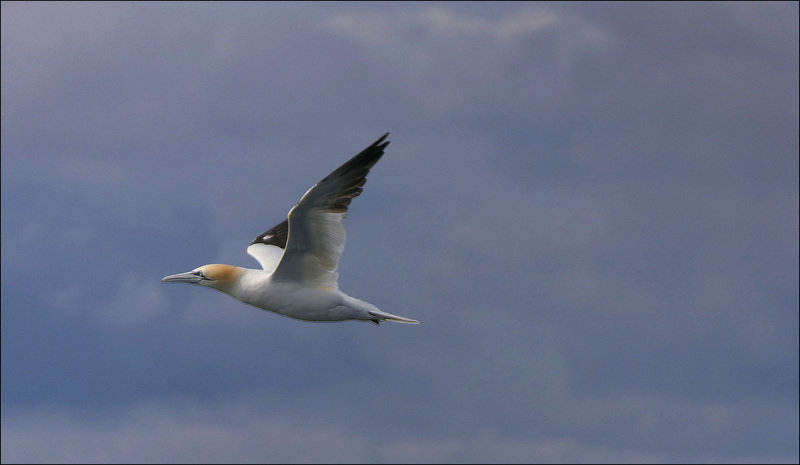 Little Skellig hosts gazillions of gannets. Also puffins, but only through August 7, when they depart for Iceland (boo!). The final scene of Star Wars VII was filmed there. 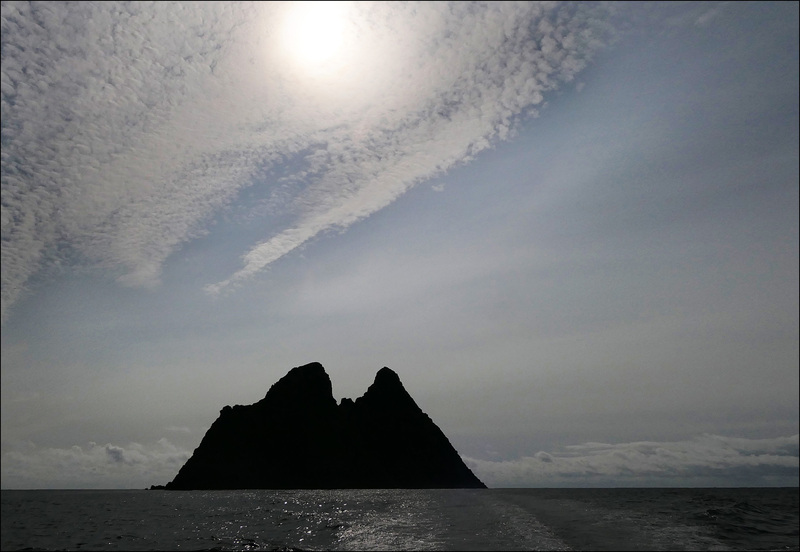 Bird conservationists were unhappy about this, but it has made the Skelligs considerably more famous. References to Star Wars are all over the place in Portmagee, where the boats go in and out. 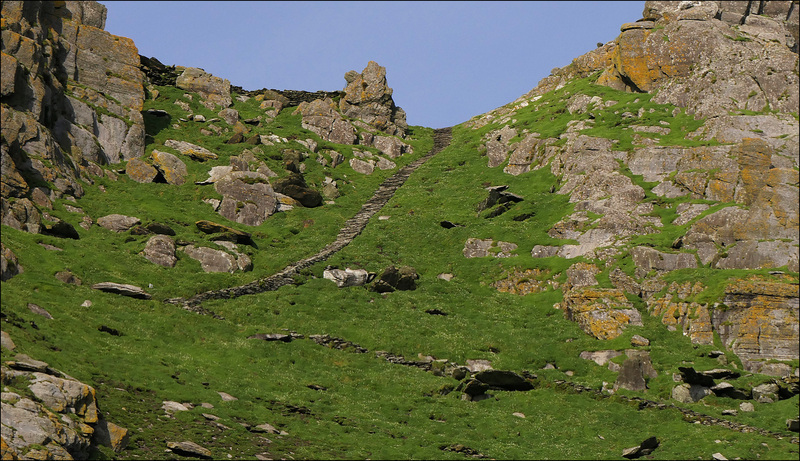 Here are the steps on Skellig Michael that Rey had to climb to find Luke Skywalker. There are 618 steps in all. I didn’t even consider climbing them. 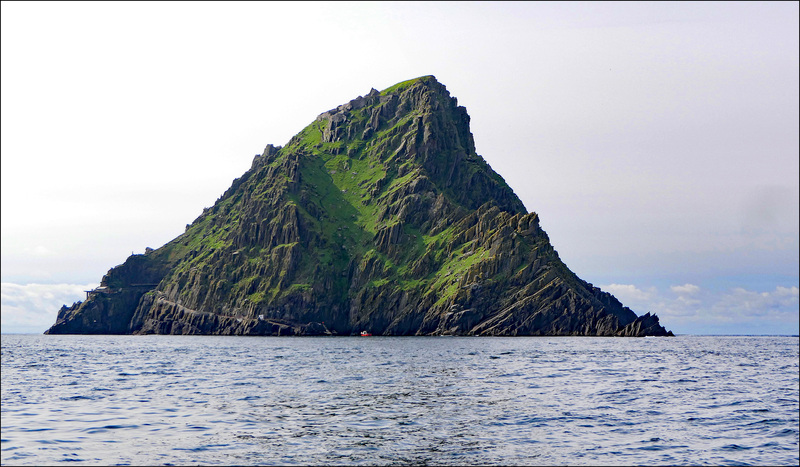 In fact, we didn’t take a tour that landed on the islands at all, since they are strictly limited and have to be booked well in advance—especially now that the place is so popular with Star Wars fans. The ruins of the 6th century monastery at the top filled in as a Jedi temple in the movie. 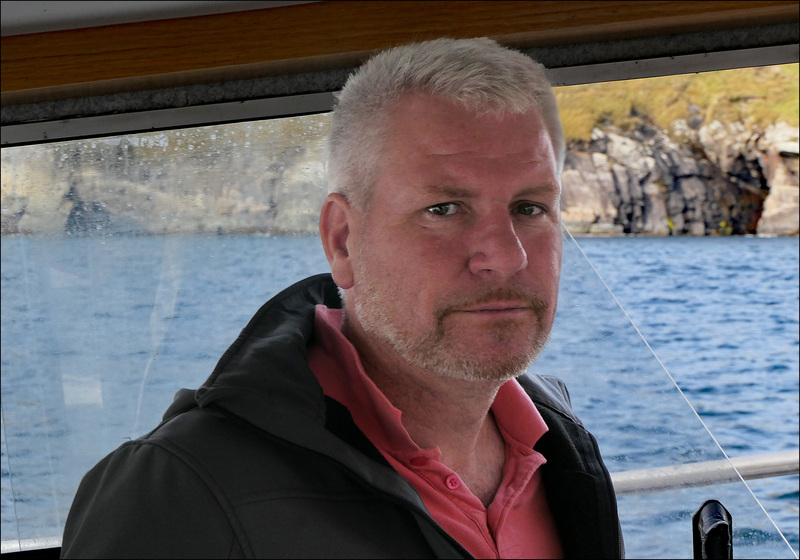 And here is Jim, the doughty boatman who took us out. We booked the trip at the last minute because Monday was such a gorgeous day, and Jim told us that on a scale of 1 to 10, the seas were a zero that day. This was great news for me, since I’m pretty susceptible to seasickness.